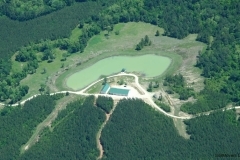 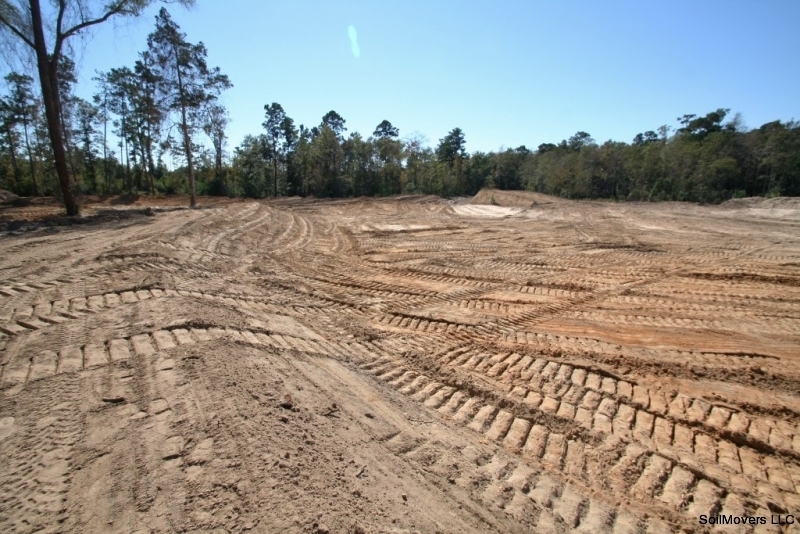 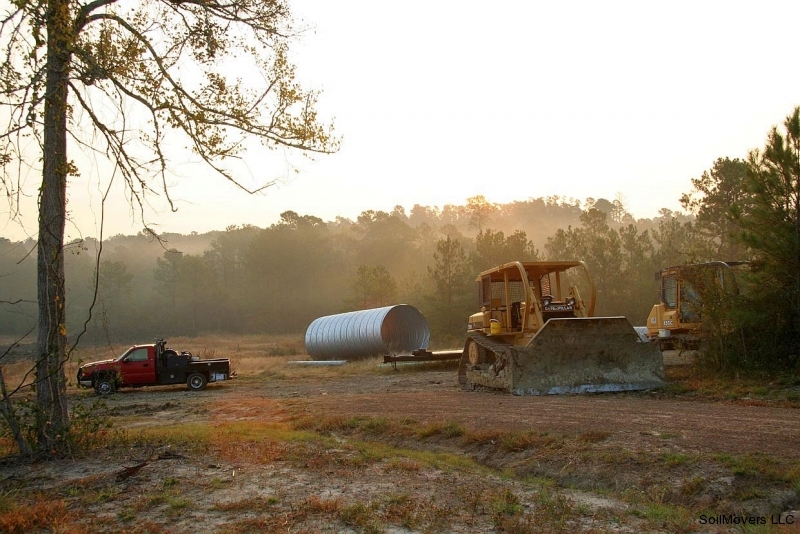 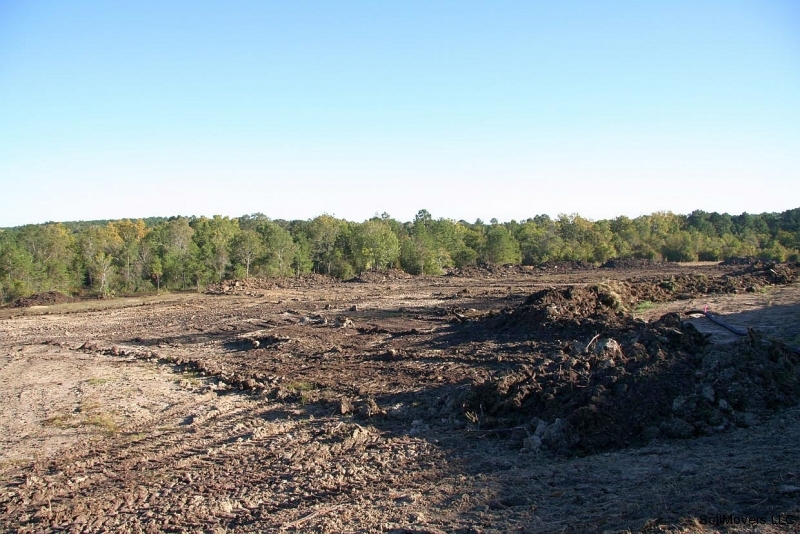 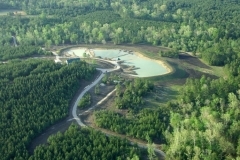 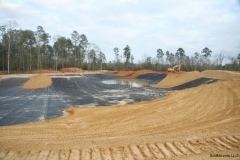 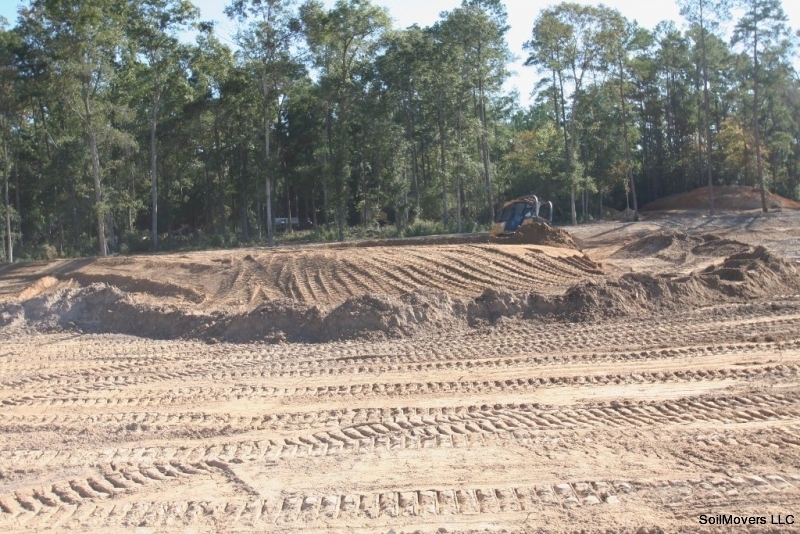 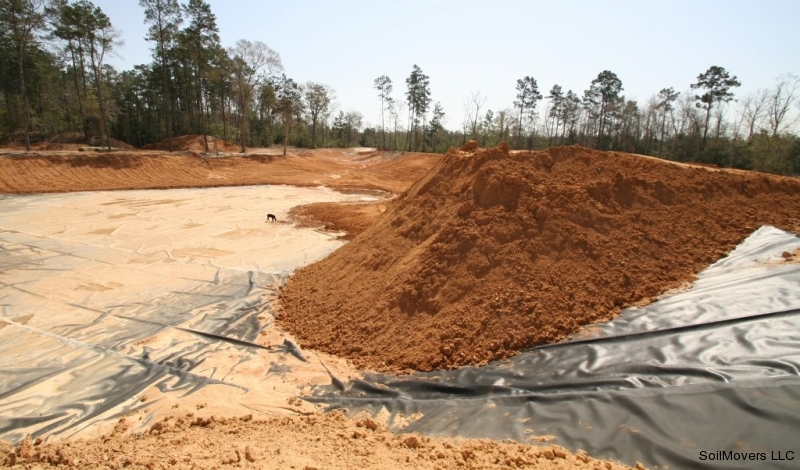 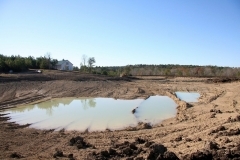 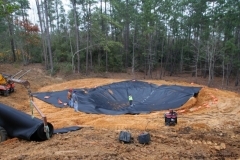 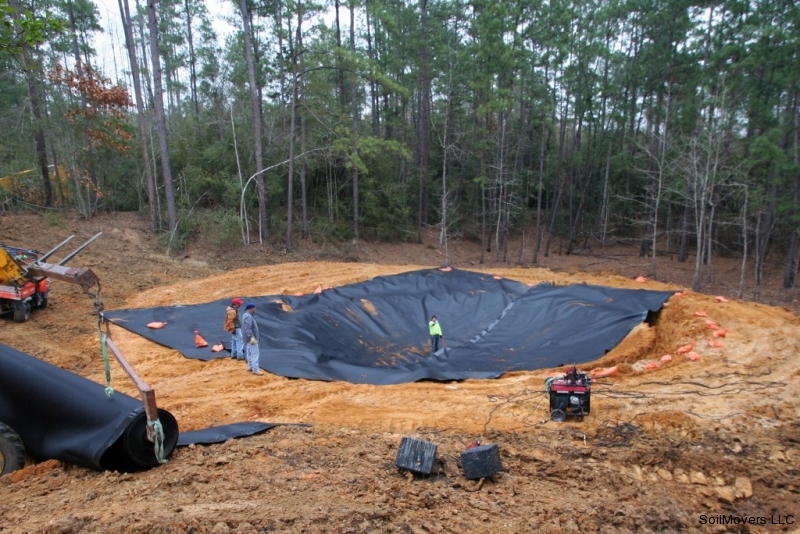 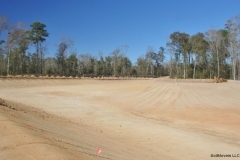 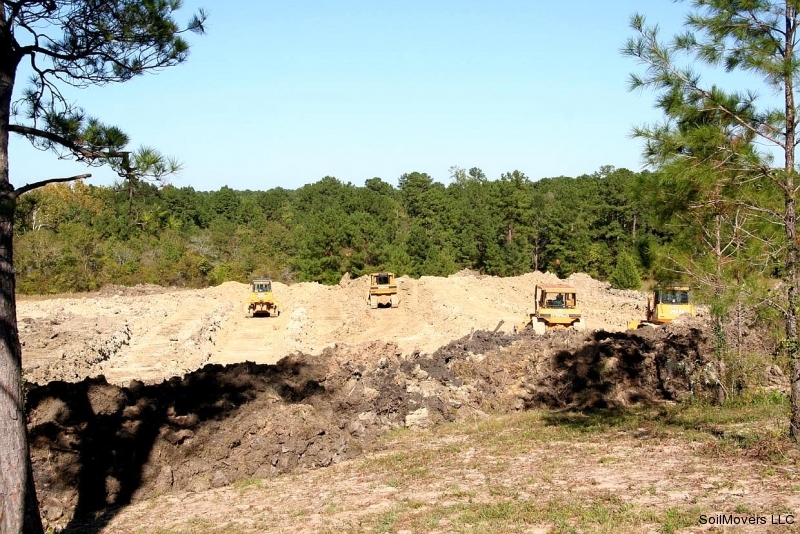 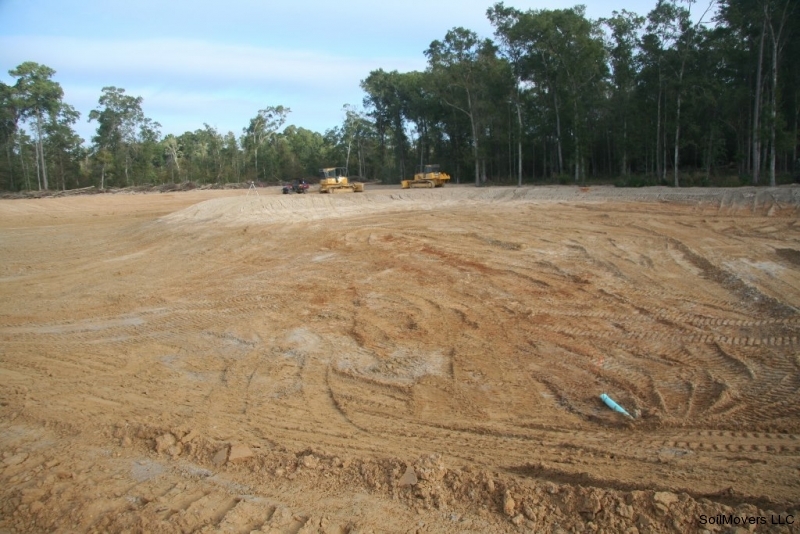 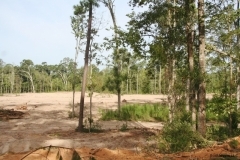 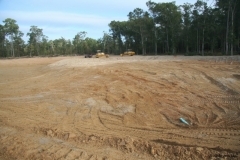 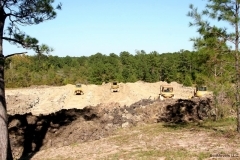 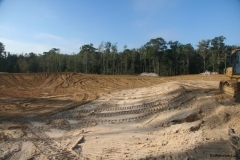 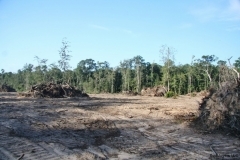 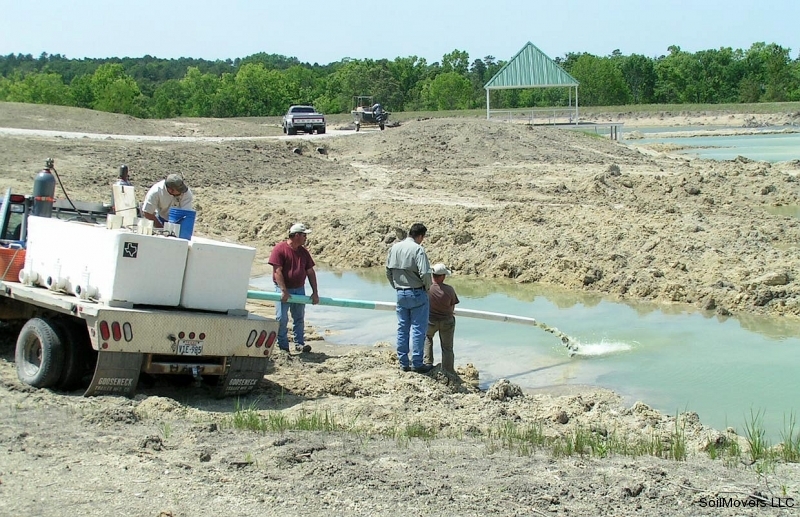 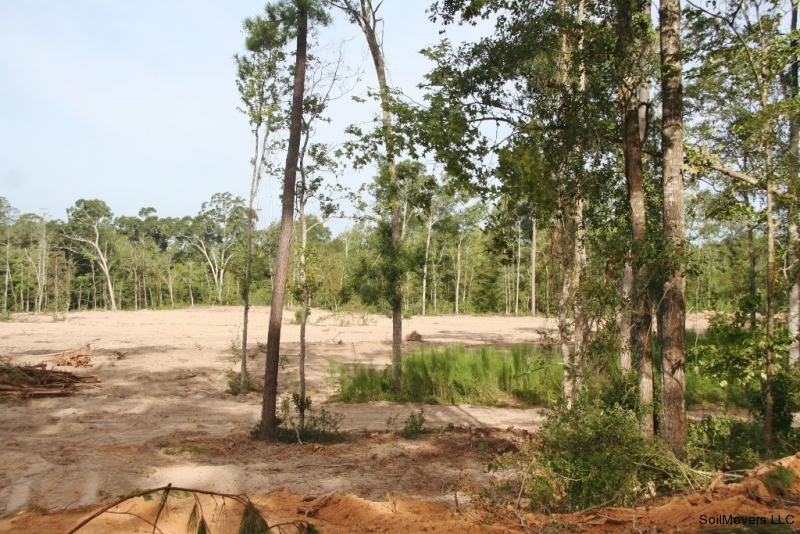 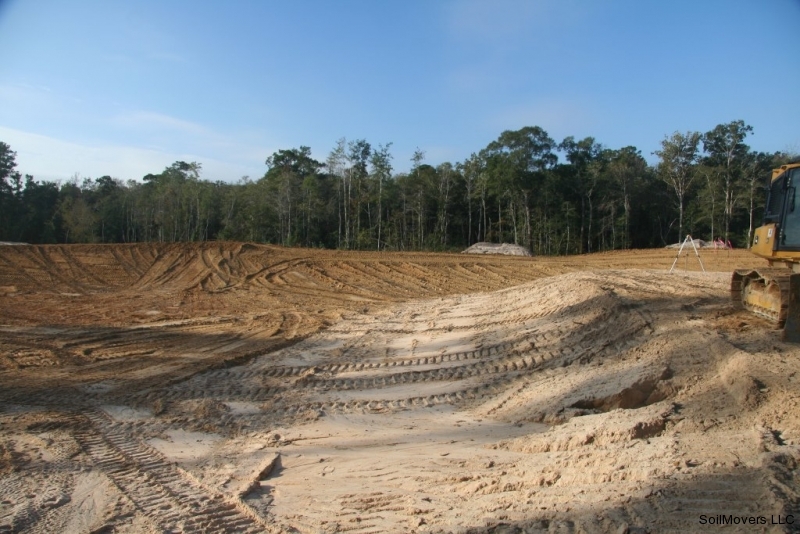 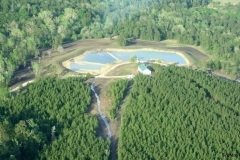 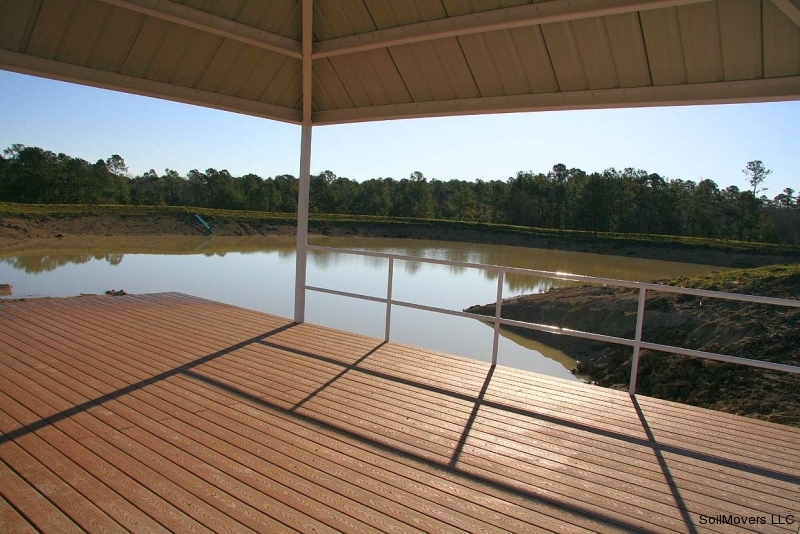 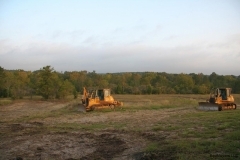 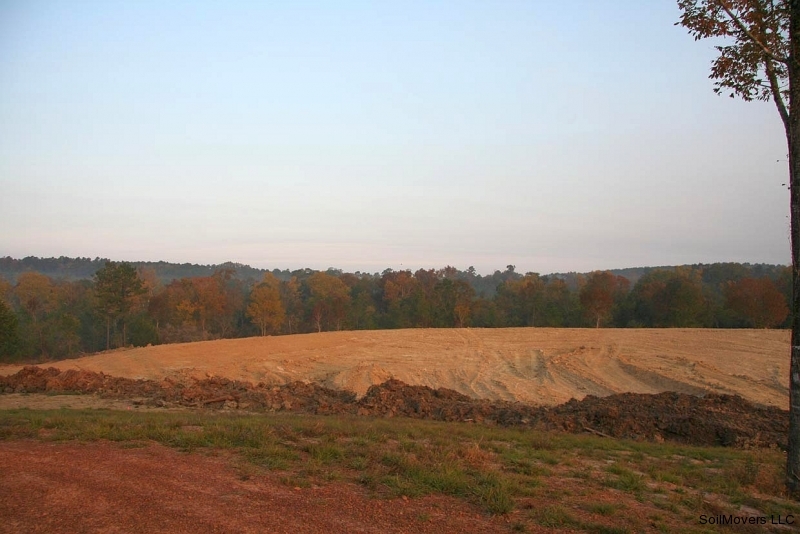 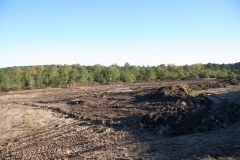 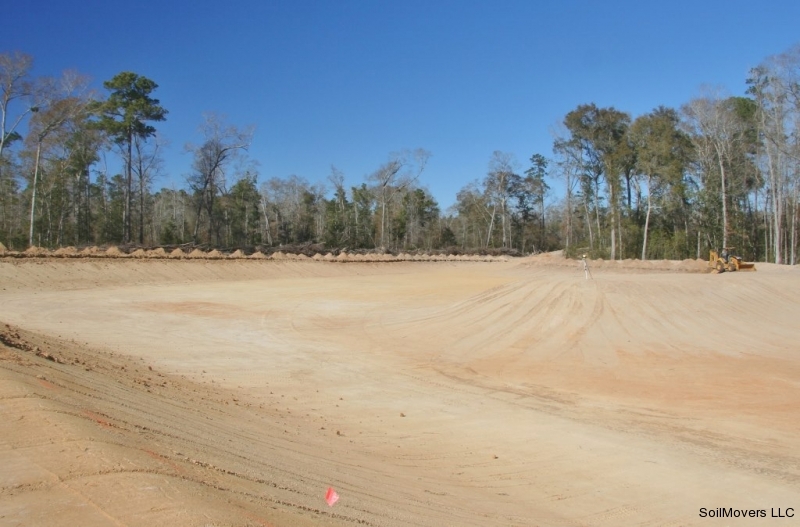 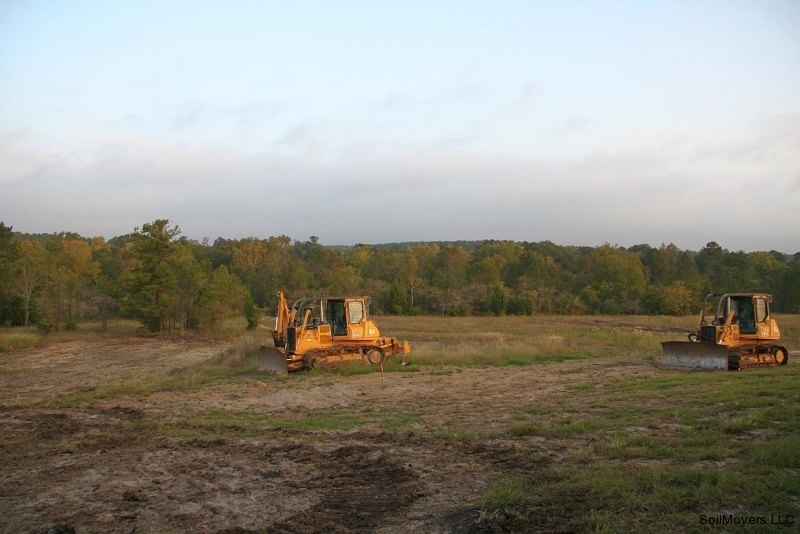 A large multiple lake project Soilmovers LLC undertook involving the building of 3 lakes and extensive road construction, drainage correction and land clearing on a high fenced 800 acre tract that was designed as a hunting preserve. This project was challenging because the owner required the aesthetics to be just exactly right while preserving and not disturbing the Wildlife and Timber Management programs which were already in place. 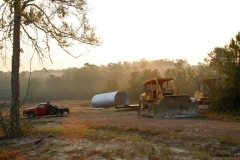 A large structure which contained an apartment and garage/storage was already in place. 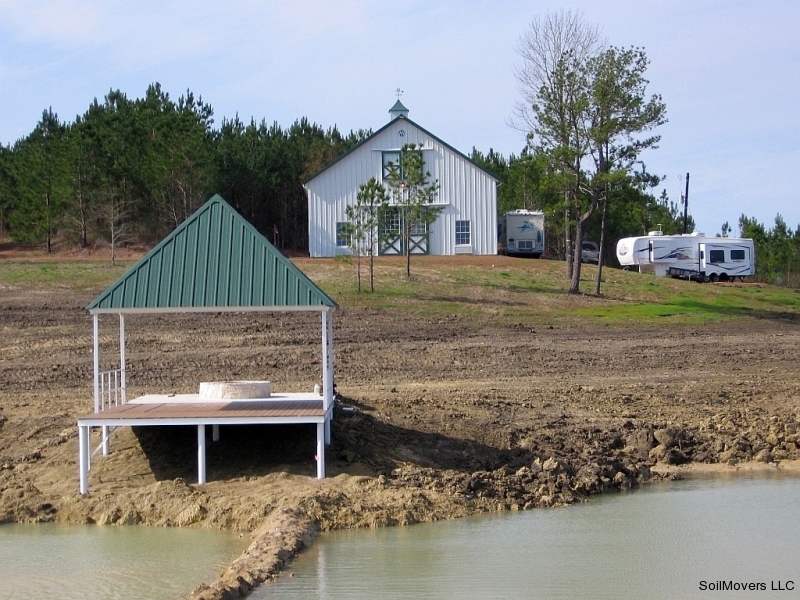 The substantial showcase fishing and recreation lake was engineered to fit in naturally with the very large building which dominated the surroundings. An interesting note: The land owner desired a 4th lake on the property and we declined citing less than optimum soil conditions to construct a viable dam in a watershed area which was prone to a large runoff volume. 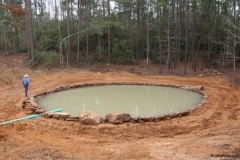 The land owner proceeded after we finished with the construction of the fourth lake. 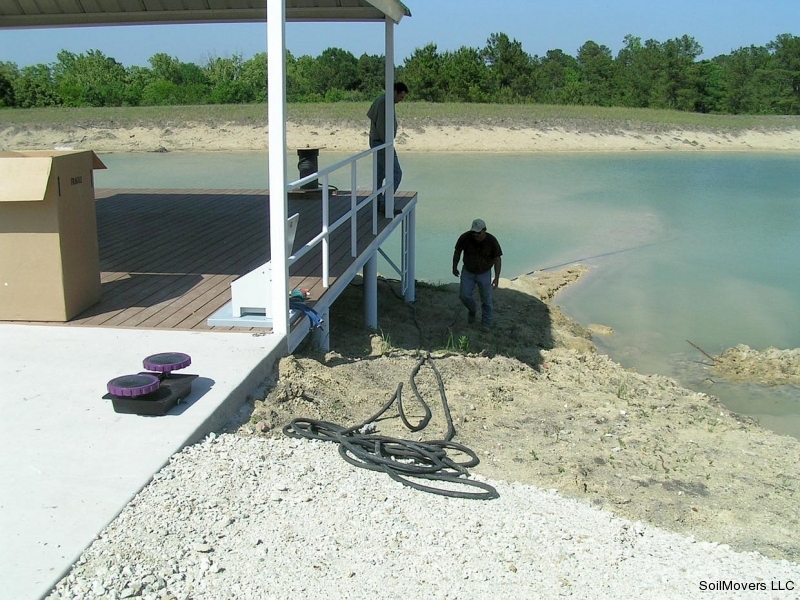 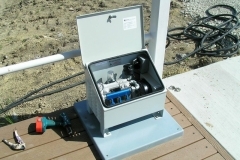 He chose a local contractor who assured him a substantial concrete spillway would suffice. 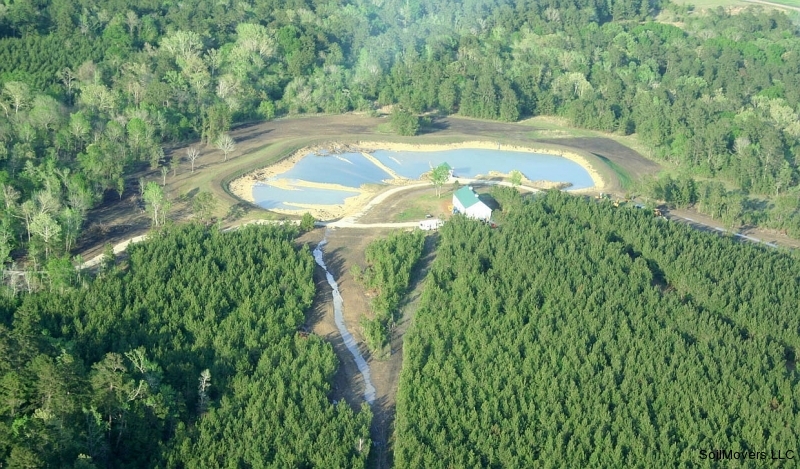 We flew over the area after a major Tropical Storm inundated the area. 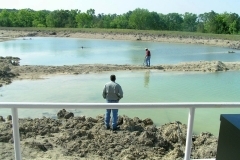 Workers were busy with torches cutting away rebar on the concrete spillway which had been destroyed along with most of the dam. 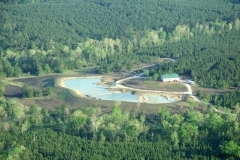 The area below the dam was a tangle of concrete, downed trees and feet of mud. 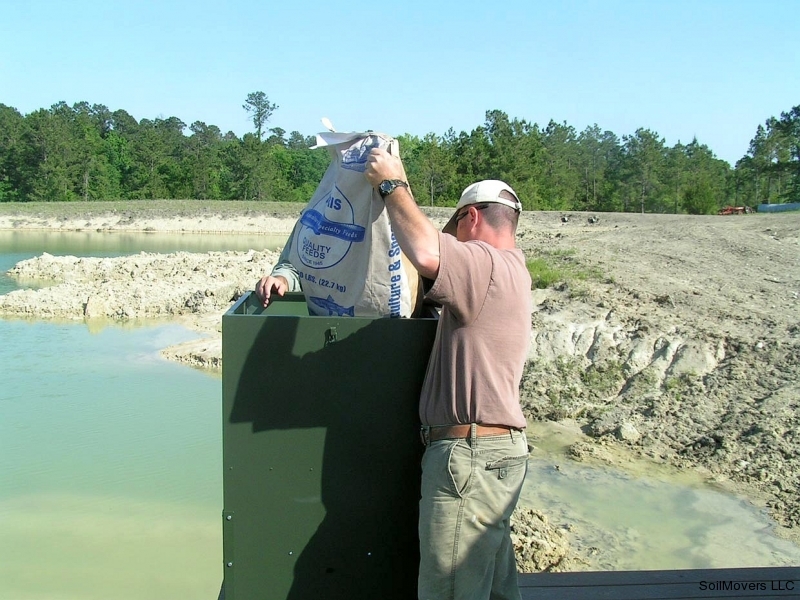 It looked like a large bomb had detonated in the immediate vicinity of the dam. 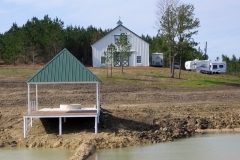 The structures we built were not affected or marginalized. 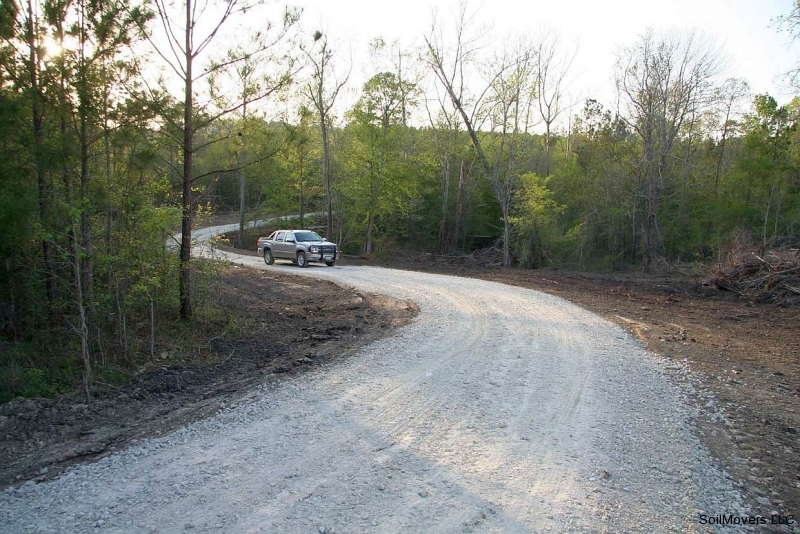 Experience and integrity always count. 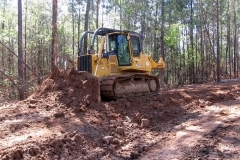 First day on the job. 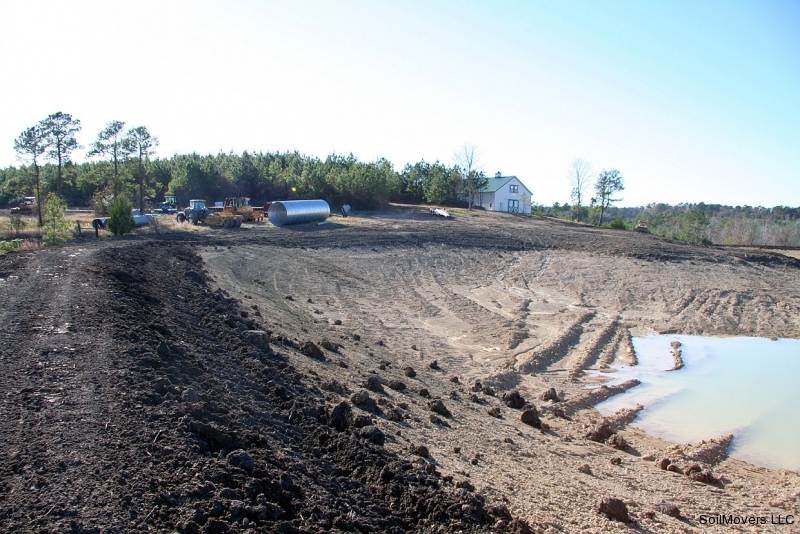 Removing the topsoil from the lake site in order to preserve it for future use in covering the new dam and banks. 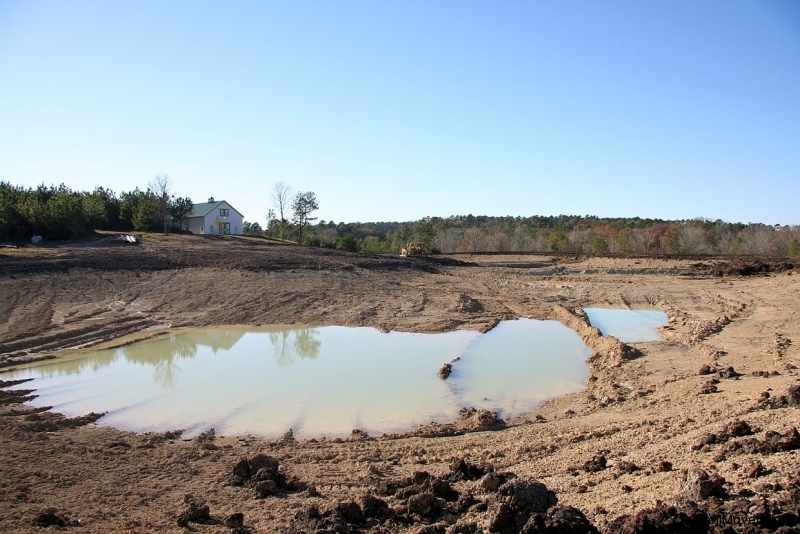 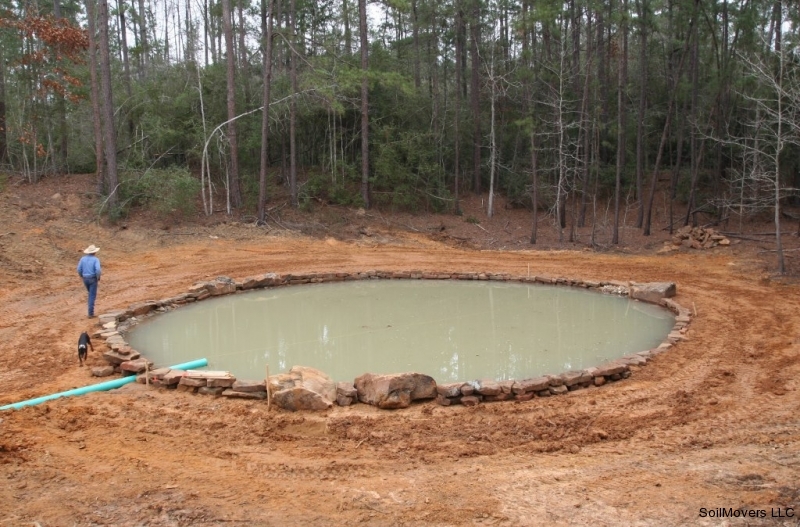 Have you ever seen a ranch lake or farm pond with eroded banks and no grass? 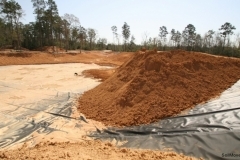 You MUST have topsoil to place on top of the new construction to promote the growth of ground cover. 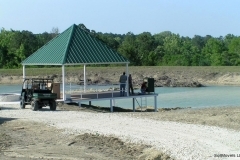 Building the showcase recreation lake. 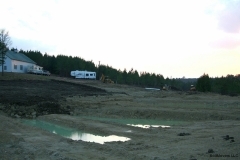 Construction of the large dam encircling the showcase lake Note topsoil stockpiled in the foreground for later use. 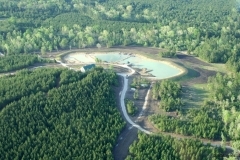 Dam being built on showcase lake. 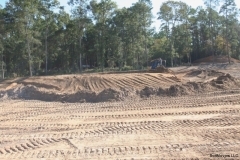 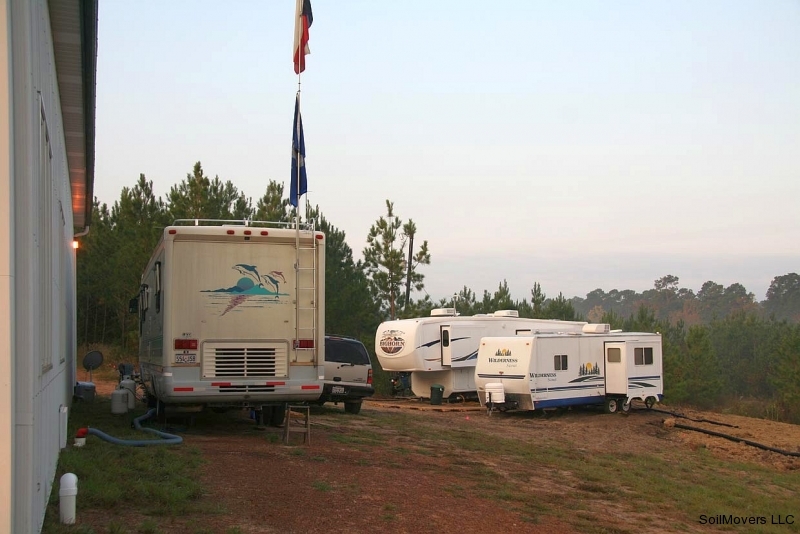 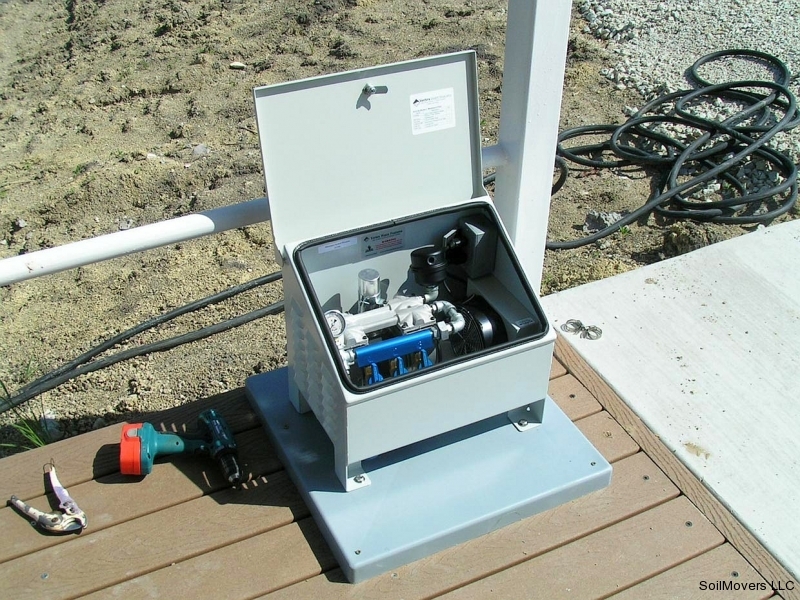 Soilmovers LLC Base Camp We have found it to be more efficient and beneficial to the client to live on site in RVs during a project of this magnitude. 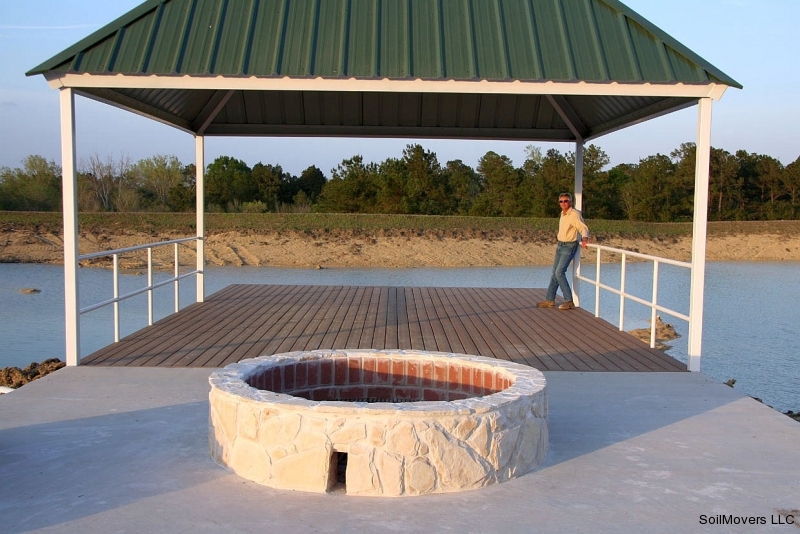 Custom fabricated steel pier with fire pit extending into lake. 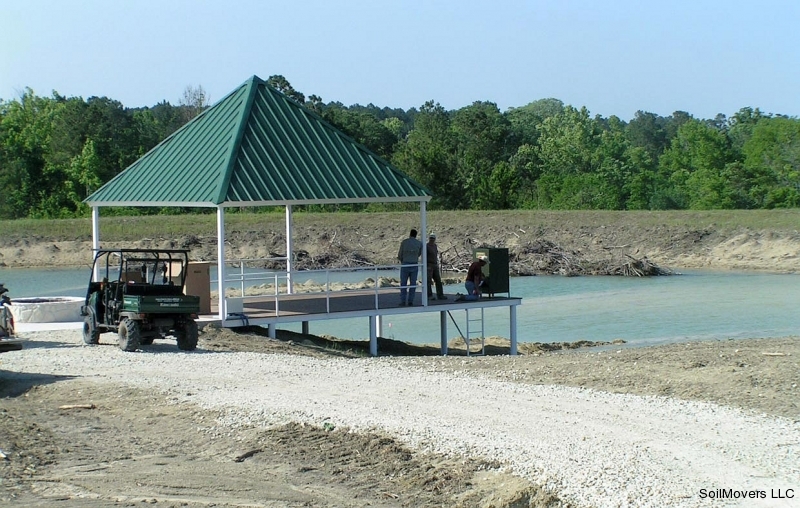 A great place to relax, a good place to fish! 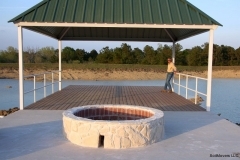 Custom designed steel fishing pier and firepit. 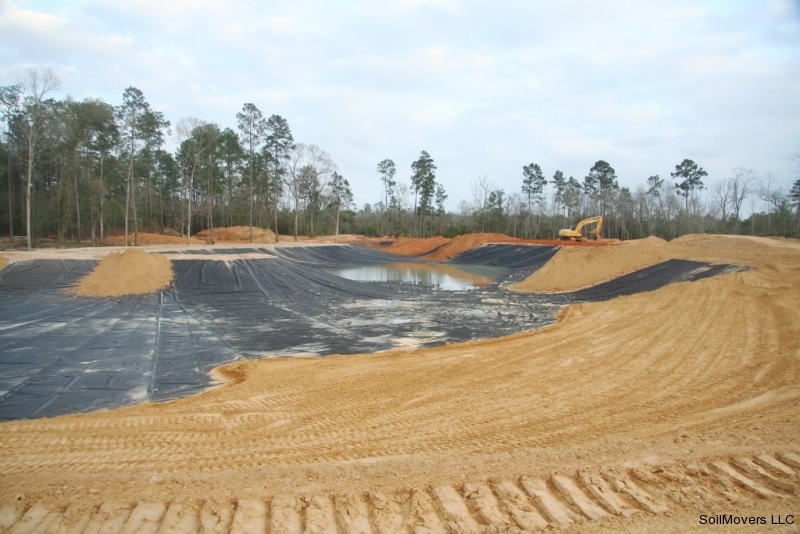 This picture shows topsoil spread to a depth of 6-8" on top of the dam and down to the approximate water line. 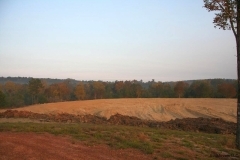 Spreading topsoil and shaping the banks for easy access. 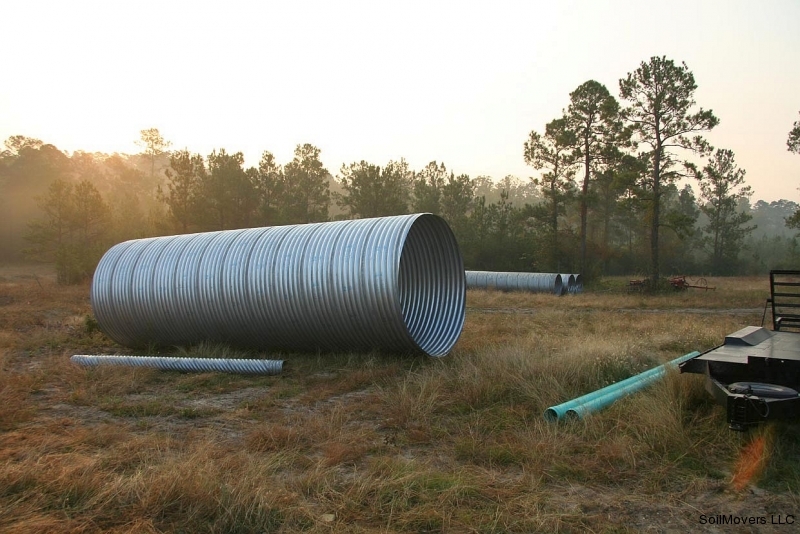 Infrastructure improvements. 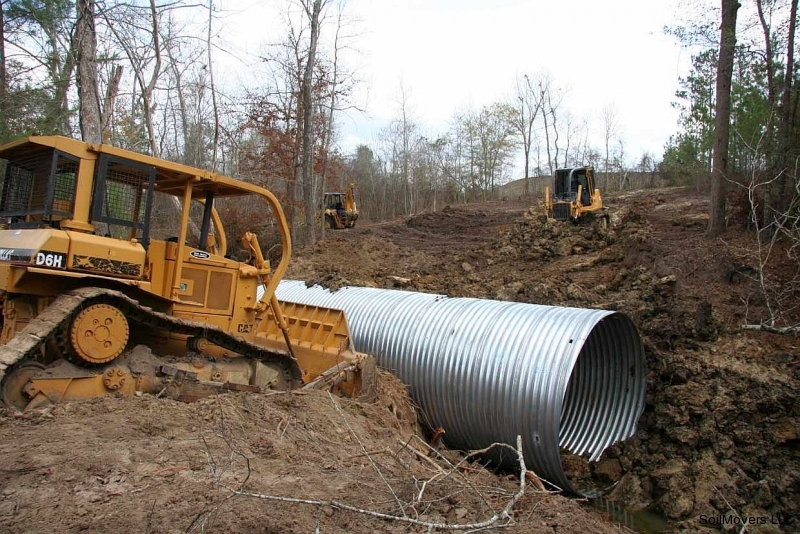 Installing culverts in a new road that crosses the lower end of the dam. 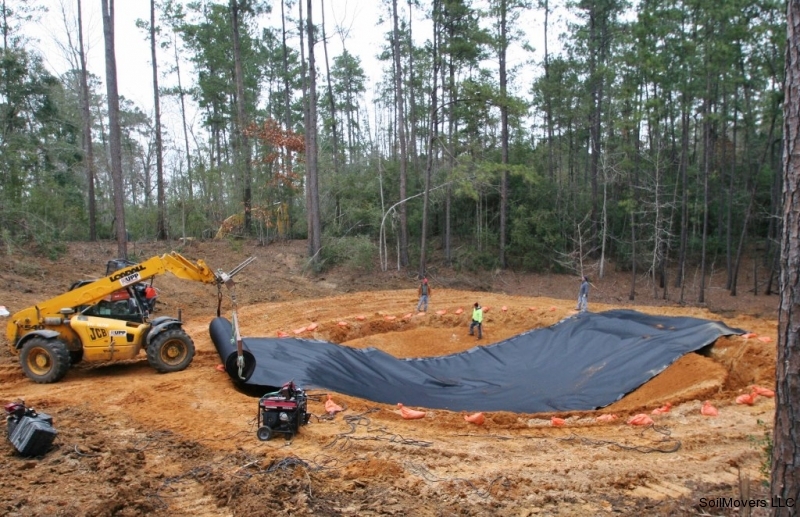 Culverts and topsoil in place. 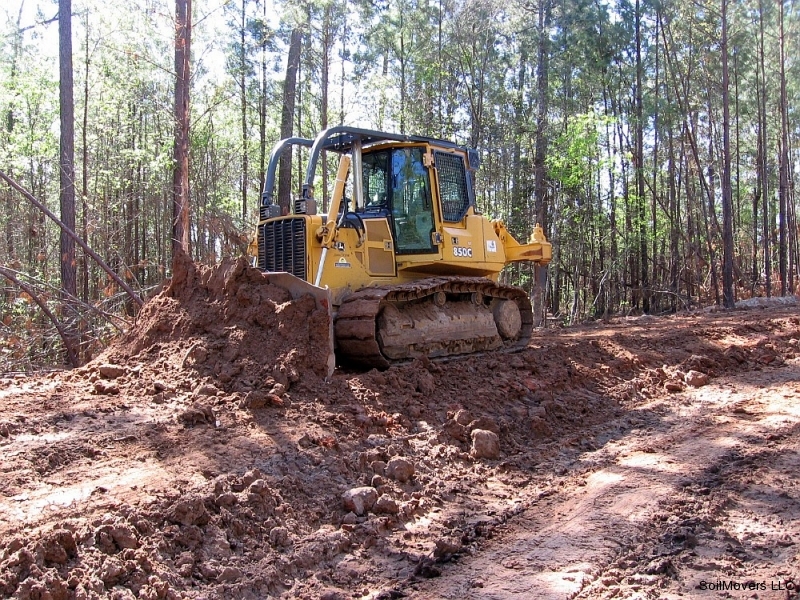 Building a forest road in the Piney Woods of East Texas. 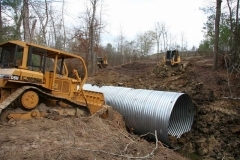 Massive culvert The client has several large creeks and wanted additional crossings constructed with the new roads. 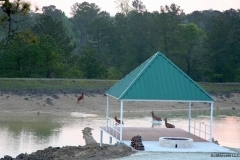 East Texas gets plenty of annual rainfall and the creeks move huge amounts of water! Culvert placement. 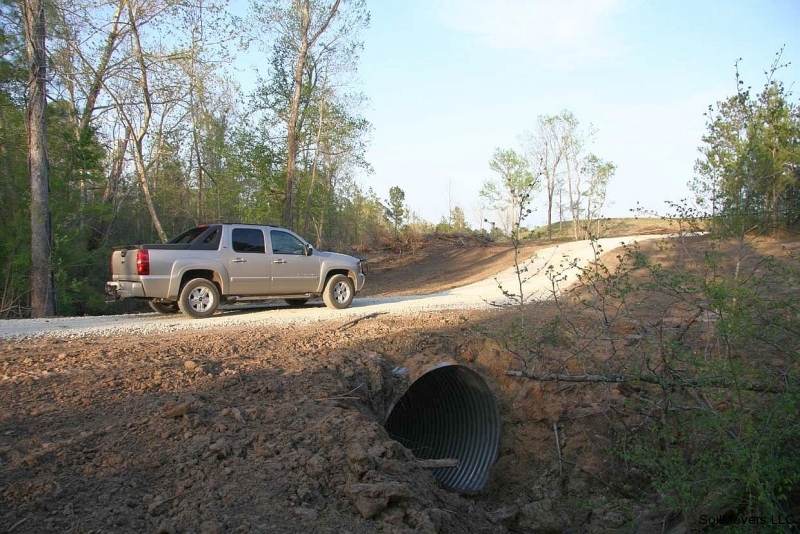 The landowner questioned the size of this culvert. 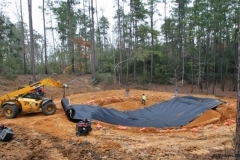 It was larger than any existing culverts on the property. 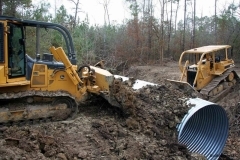 Securing culvert in place. 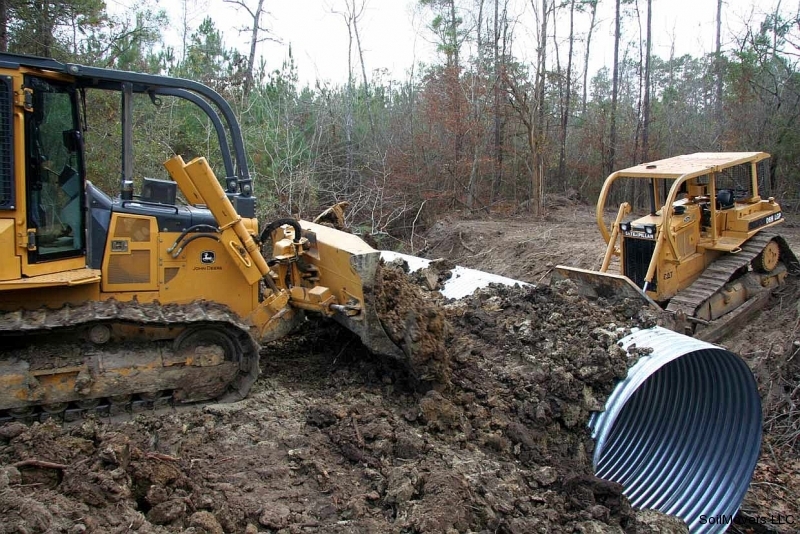 Several weeks later an existing smaller culvert below this one was washed away in a torrential rain. Improved woodland gravel road with proper drainage to provide all weather access. Improved forest road crossing creek with large culvert. 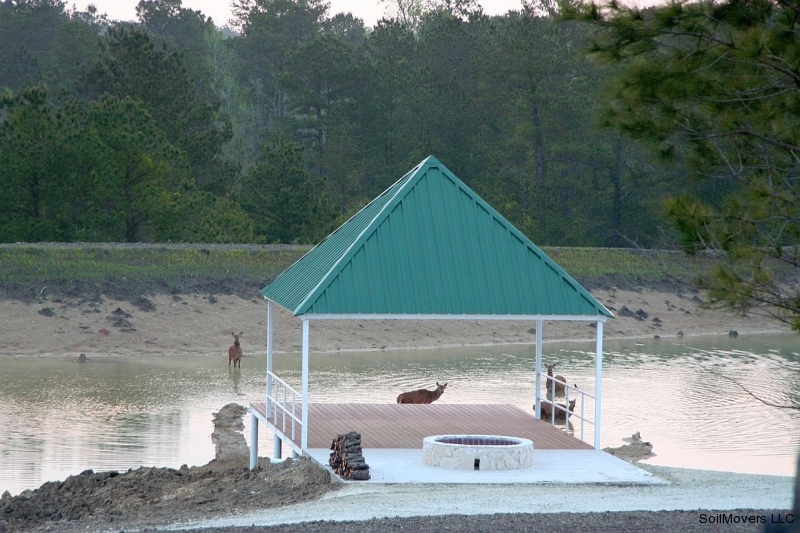 Red Deer in the lake below the fishing pier. 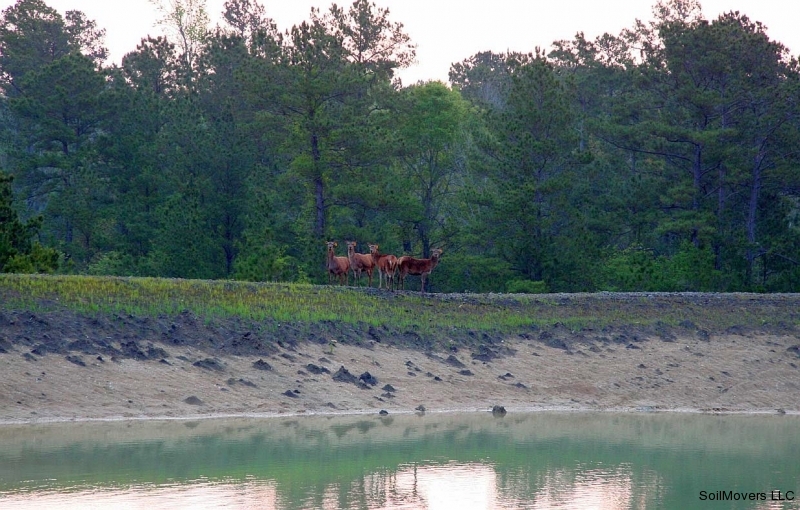 The Caspian red deer is one of the largest deer species. 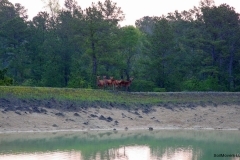 The red deer inhabits most of Europe, the Caucasus Mountains region, Asia Minor, Iran, parts of western Asia, and central Asia. 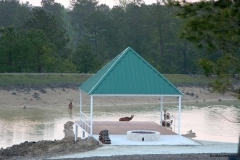 Red Deer on the dam one week after introduction to the property. 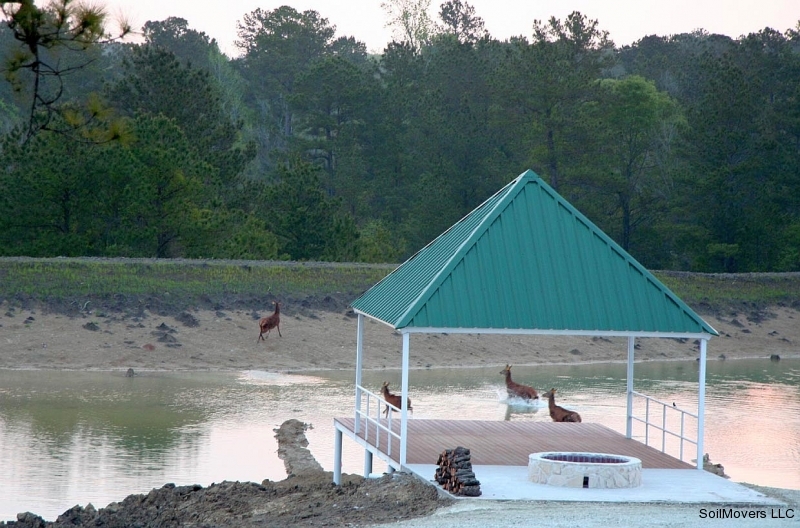 These deer came from a breeder in Elgin, TX. 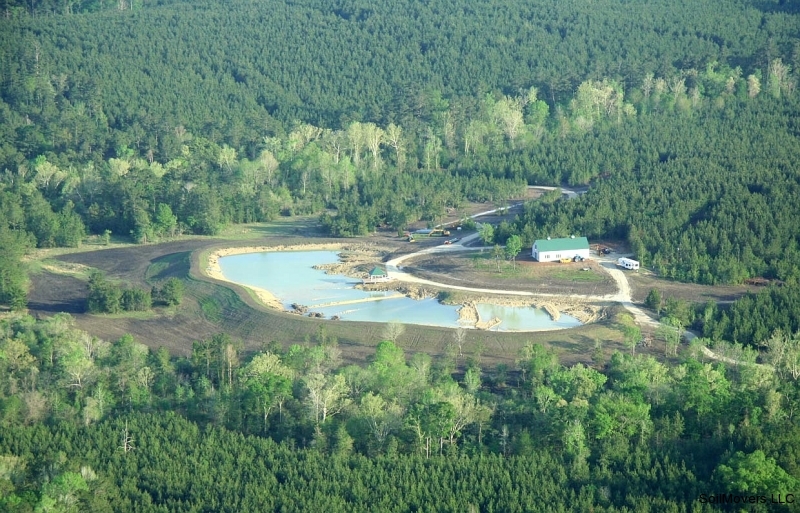 Aerial of completed project--looking northwest. 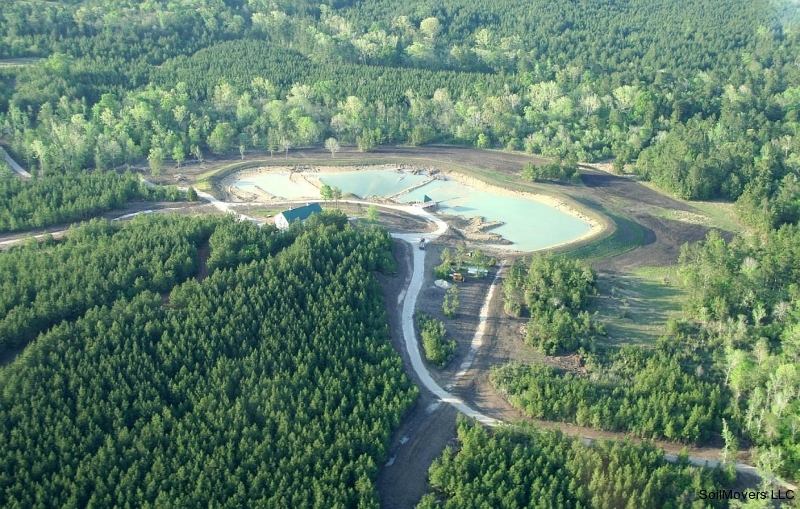 The showcase recreation lake is about 25% full. 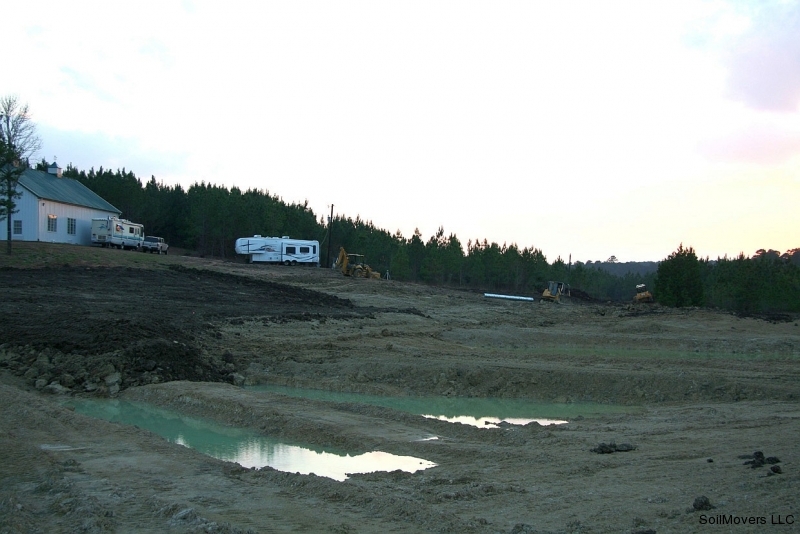 Construction has moved to one of the other 2 lake projects on the property. 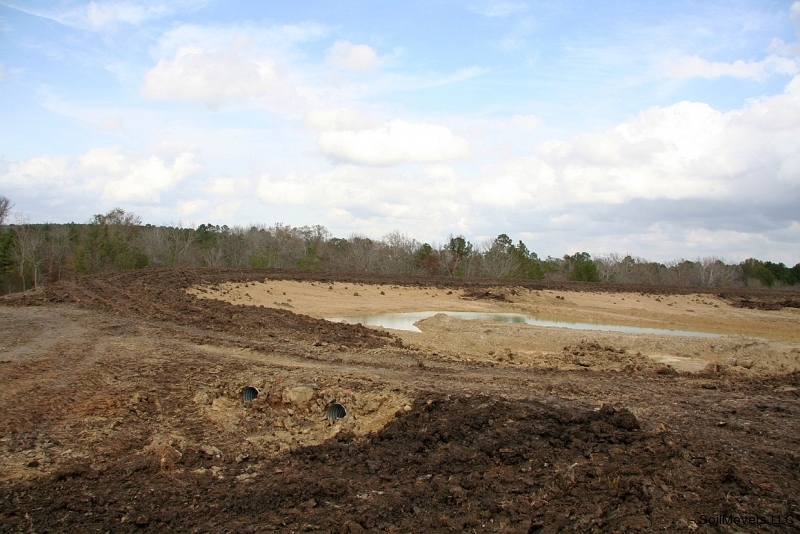 An improved watershed channel to adequately feed the lake is in the foreground. 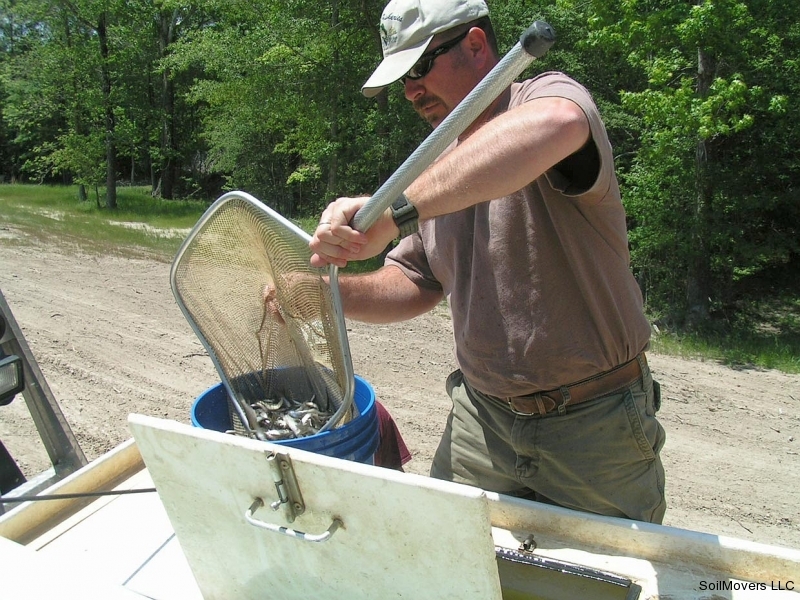 Stocking the showcase lake with fish. 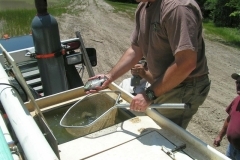 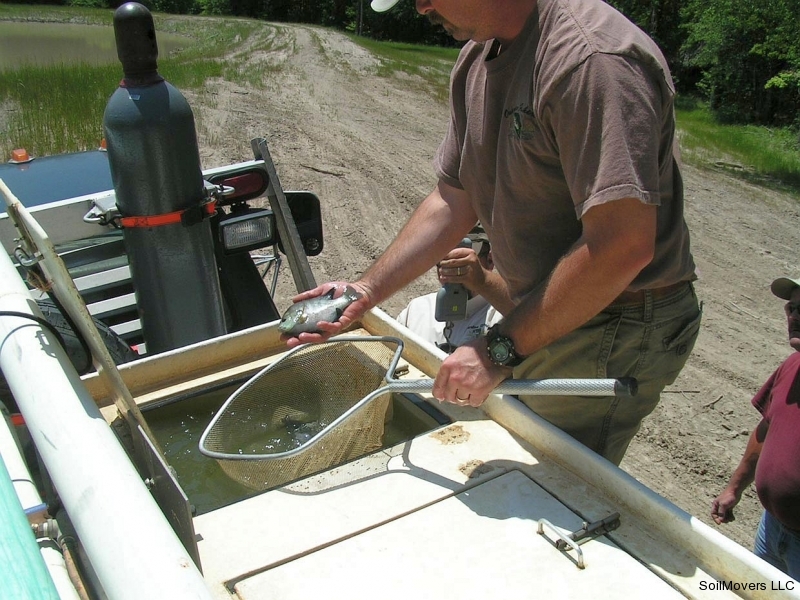 The fish are transferred to buckets to be introduced into the lake. 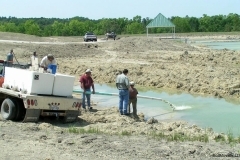 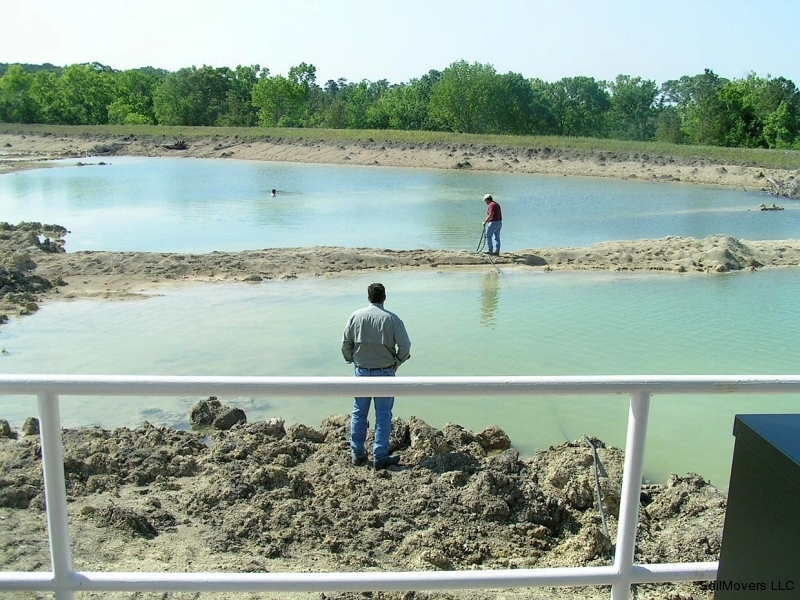 The fish are placed in the partially filled lake. 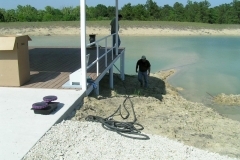 Placing the weighted diffuser line that will power the aerator. 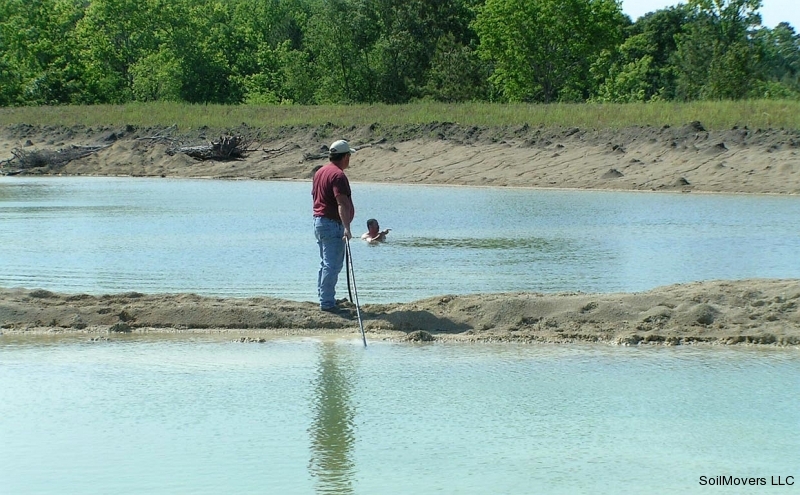 Placing the aerator in a deeper part of the lake. Note the fish structure left on the bottom of the lake. 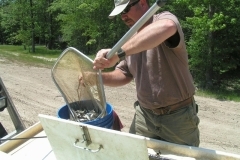 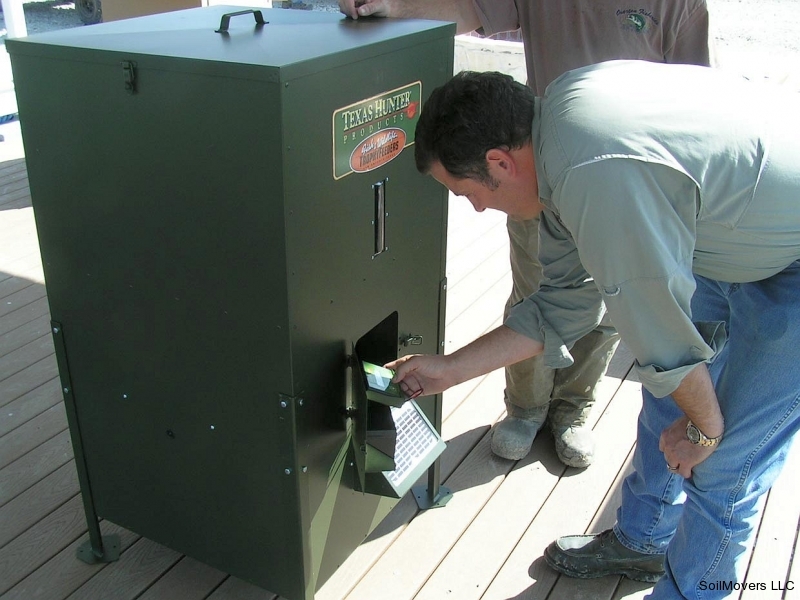 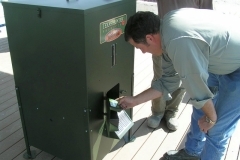 Filling the feeder with fish pellets. 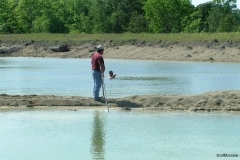 All equipment in place on the trophy fishing lake. 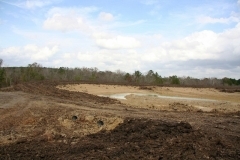 The showcase lake as it appeared 5/10.